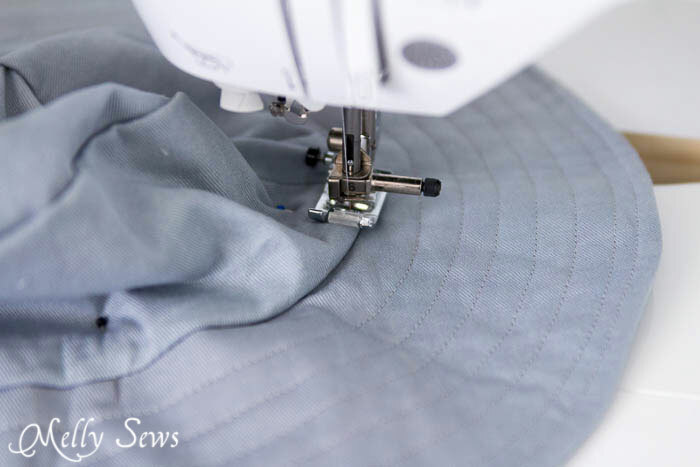 Hey y’all – we’re wrapping up menswear sewing month with this tutorial on hats. 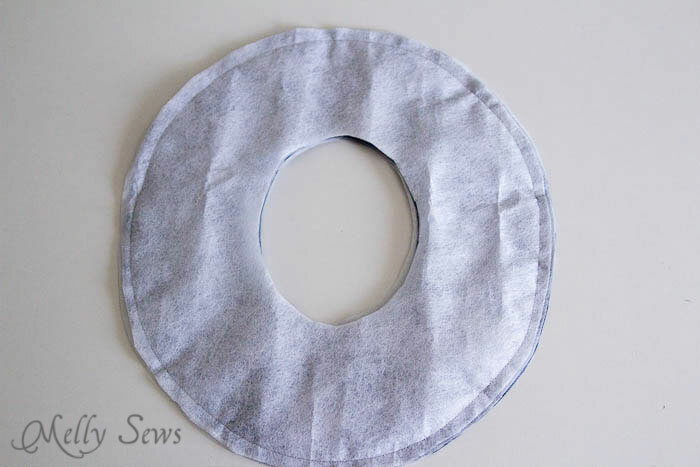 I’m going to show you how I made this particular hat, but also share a template that will help you draft any kind of hat you want and then sew a hat. Let’s start by talking about the parts of a hat, as shown below. 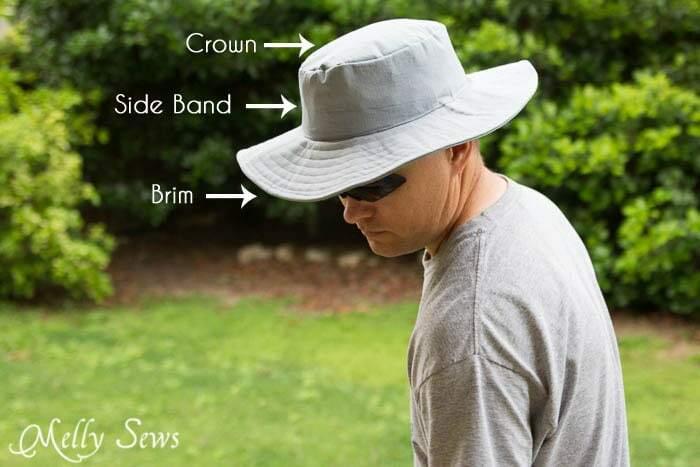 There are really only 3 main parts – the crown, the side band, and the brim. It has crown sizes 24 1/2″ all the way down to 19 1/2″. Which means that you could use it for babies up to grown men. But first let’s talk about how to use it. Depending on the hat style, you may want the crown about the same size as the head circumference (like the flat brim hat I made here), slightly smaller than the head circumference (like this rain bucket hat was) or larger than the head circumference (like how you gather in the crown of a chef’s hat). 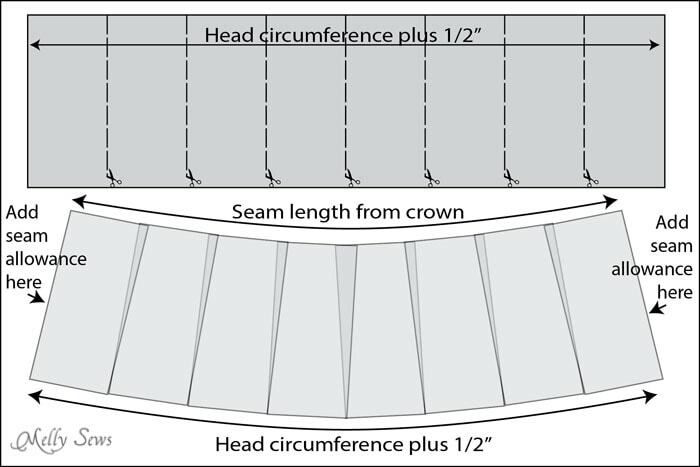 In general, you’ll want to measure the person’s head and add 1/2″ (this is for the thickness the brim seams will add), then choose the size of the crown based on that. For example, my husband’s head measured 22 1/4″, so adding 1/2″ that gave me 22 3/4″, so I went with the 23″ template. BUT that doesn’t mean that the crown was 23″ – because of seam allowances. So when measured in 1/2″ (the seam allowance I used) the crown gets smaller. Like the image below. 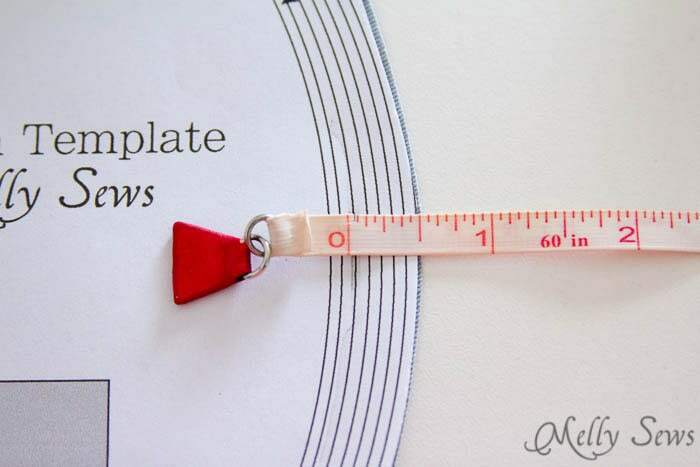 Another way to determine this is to measure in 1/2″ (or whatever seam allowance you’re using) on the template and then look at which circumference that it. In this case, measuring in got me to the 21″ circumference. 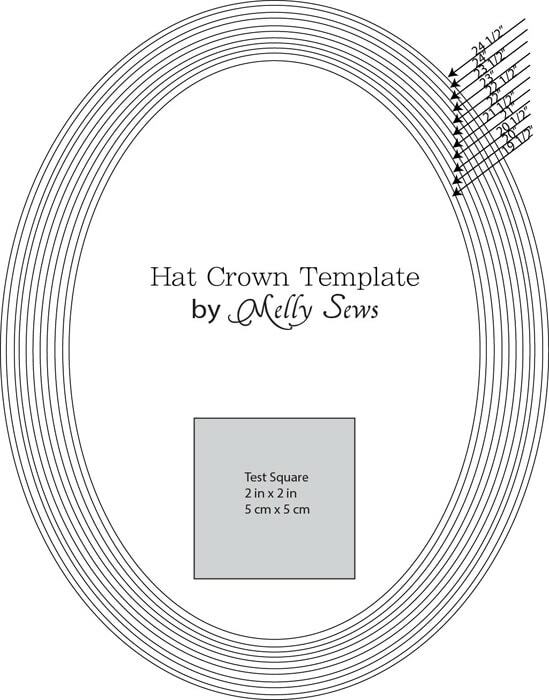 Once you have your crown template cut, you can easily draft the rest of the hat. Let’s start with the side band. First, determine the side band height you want. In this case I used a height of 4 inches – which would put the hat above my husband’s ears. 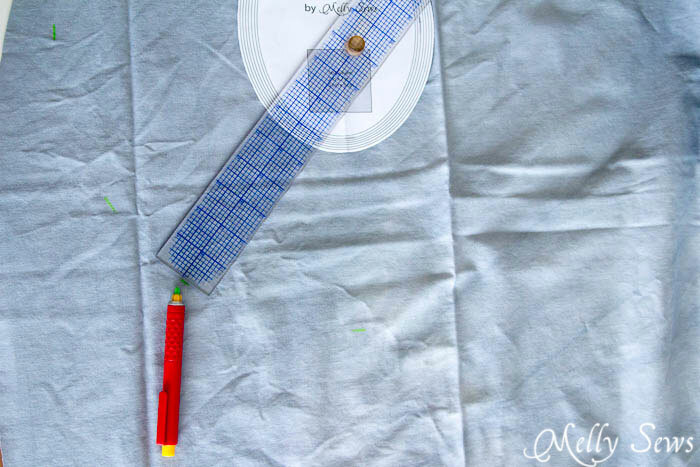 Draw a rectangle that is the height you want by the head circumference plus 1/2″ measurement. Cut this rectangle into 8 pieces, then overlap the top edges enough to equal the seam measurement from the crown of the hat. For example, I started with a 4″ x 23″ rectangle. Then I overlapped each piece 1/4″ so that the top of my side band was 21″ and the bottom was still 23″. 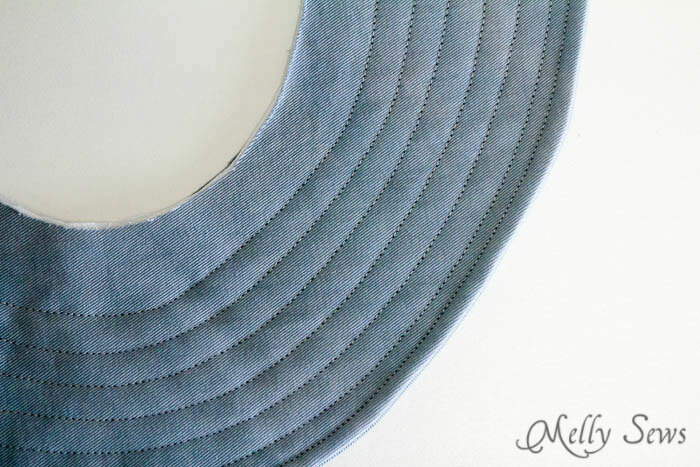 Add seam allowances all around the side band, and you’ve got your side band piece. 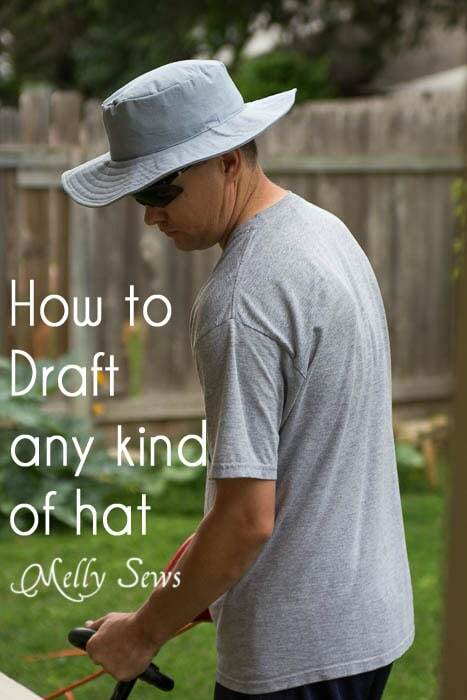 To draft the brim, first you need to decide if you want a flat brim or a shaped brim. In this case I went with flat, and drafting that is as easy as determining the brim width (in this case I started with 5 1/2″ because the hubs said he wanted a really wide brim, but after showing it to him, ended up doing 4 inches as the brim, including the seam allowances. 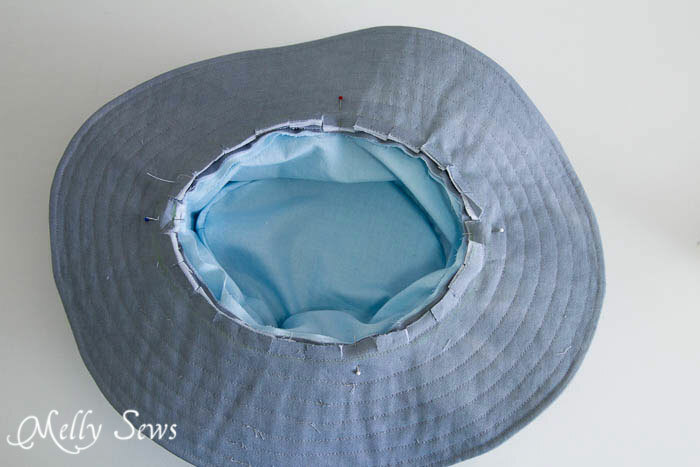 Don’t forget to add a seam allowance to the inside of the brim when you cut that circle out. 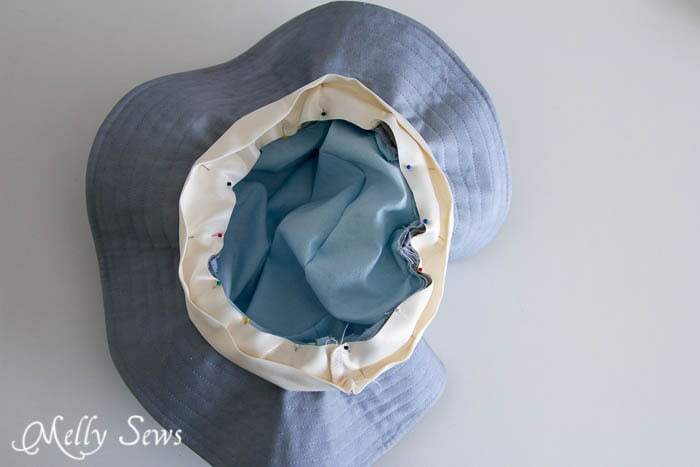 If you wanted a shaped brim, you would take a pie shaped wedge out of the brim and then close the gap – this would create a brim that would either flip up or flip down, depending on how you sew it in. The bigger the pie slice, the more the brim would angle. 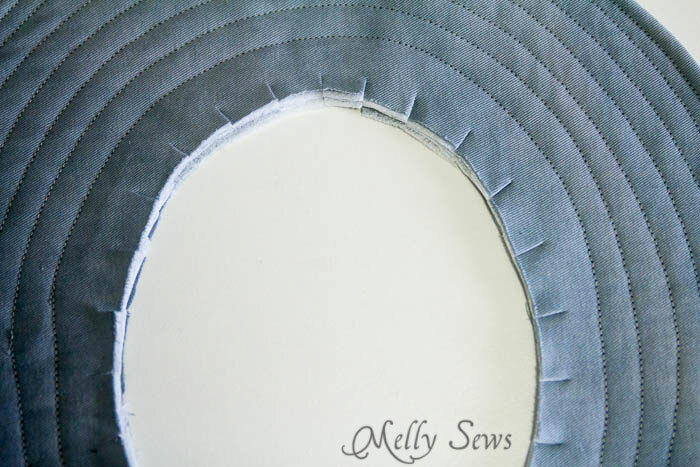 Heavy duty sew in interfacing is a must with hats to give them body. For this brim I used 4 pieces, sandwiched on top and bottom of the two brim pieces. 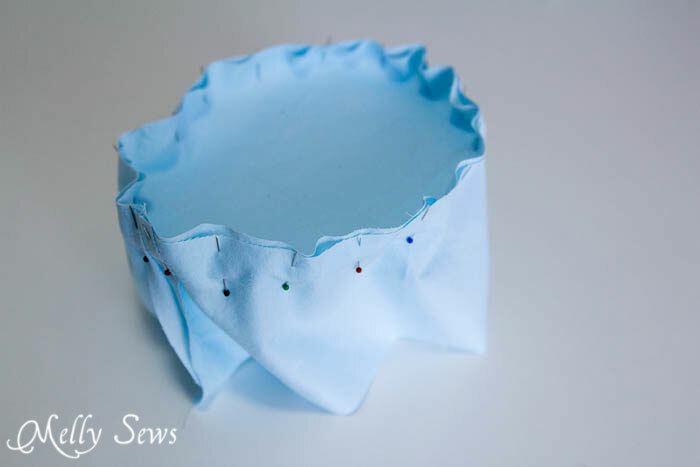 Sew around the outside edge. 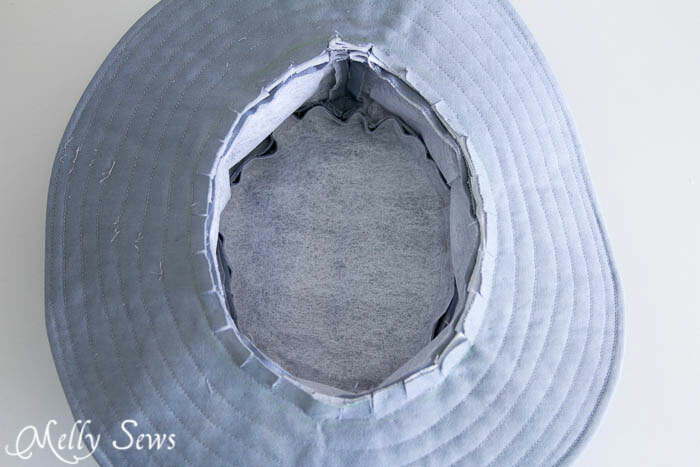 Trim the seam down to 1/4″ or less, then turn the brim right side out. Press the brim. A point turner (affiliate link) is helpful for this. 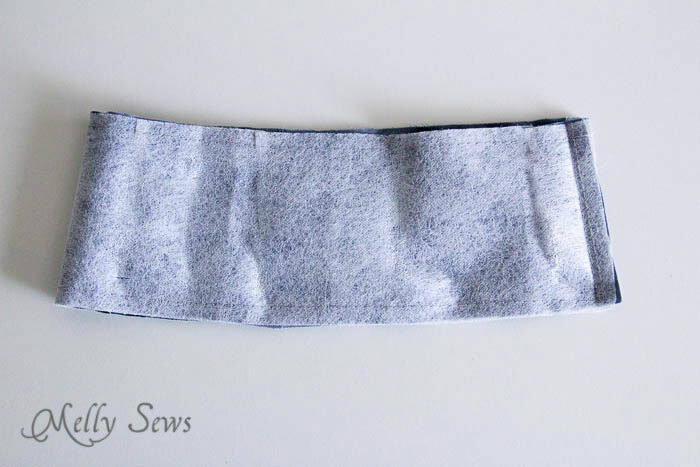 Next, sew the side band together at the side seam. I sew the interfacing with the main fabric, and the lining separately. Pin the side band to the crown. 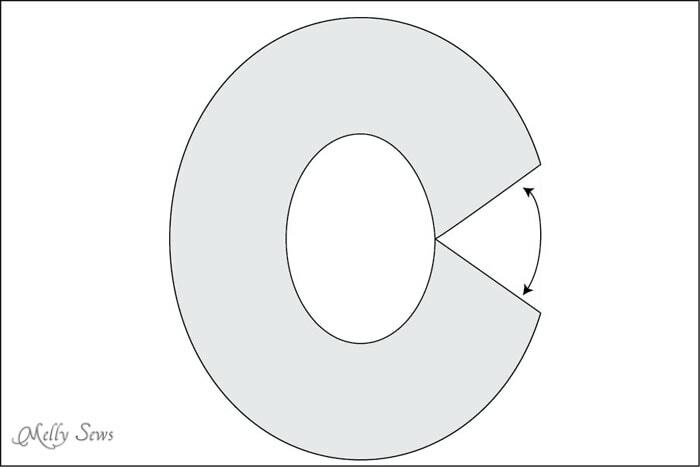 As you can see, the crown is flat at the seam line, but not at the edges. Stitch. Repeat with main fabric crown/side band. 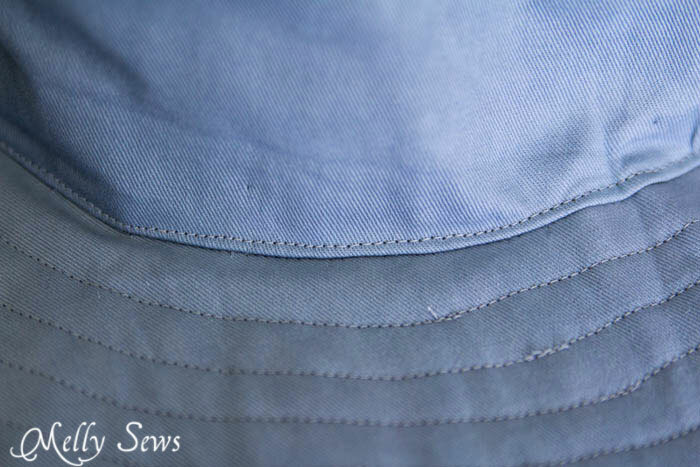 Notch the brim in the seam allowance all around the inside edge. Pin the brim to the crown/side band assembly. Stitch. Add the lining into the hat, wrong sides together. To finish the inside, add ribbon. 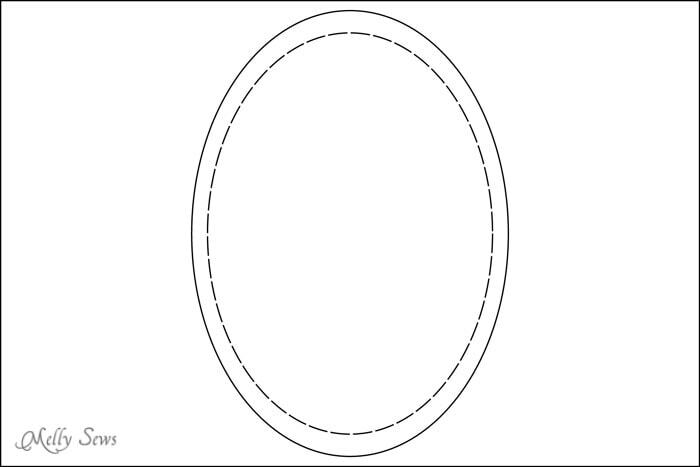 1 1/2″ or wider grosgrain or satin ribbon cut to the head circumference plus 1/2″ and seam allowance works best. 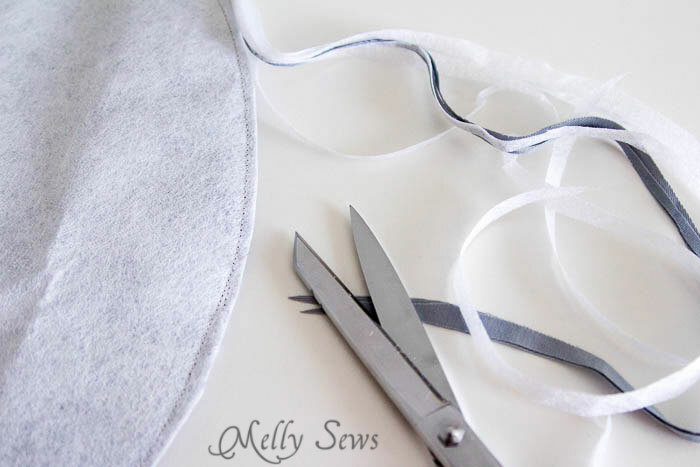 Sew the ribbon into a loop and then pin it over the raw edge of the hat and lining, so that the ribbon is against the brim. Stitch, then flip the ribbon to the inside of the hat. Topstitch around the bottom edge of the side band to hold the ribbon in place and you’re done. 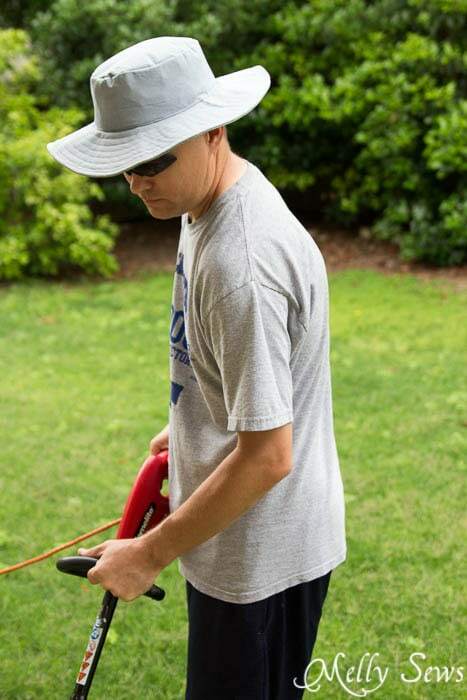 And there we have it – a hat perfect for mowing the lawn and other outdoor work. Brilliant – I am going to have to try this out – you have made it sound so simple. Many thanks. fit and style what he wants. This is awesome! I can totally use this. Cool idea! Love your site and creativity. Now if I can only get him to mow the lawn and do yard work….. I was looking to buy some new hats for the kids but now I am going to make them hats and swimsuits. This beats spending $30 for a new hat. You did make this look totally simple! Thank you. Bookmarked and will hopefully get to make one real soon. Thank you for showing that a hat’s crown is oval, not round, and the sides sloping somewhat, not straight. That is a much more professional approach, and not more difficult than the unflattering “bucket” seen everywhere! Add a band, a string and some vents, and you’ve got something close to a Tilley hat — at a fraction of the price – and suitable for us girls, too. I have a Tilley hat, which is a great hat! I thought I lost it, looked at other hats, which weren’t as good. Knew I wouldn’t be satisfied. With this tutorial I could make something I would be happy with if I had to. Also good for those of us whose heads need a larger size than can be found in most stores. Not sure what you mean by “4 pieces [of interface], sandwiched on top of bottom”. Can you explain? Oops! That should have read “top AND bottom”. Sorry. Just finished a fireman’s hat for a halloween costume for a 2 year old. You tutorial/expertise has been a blessing. and it worked. I couldn’t have done it on my own. Thanks so much I will return. I started sewing a few weeks back to create a fesitval wagon for my granddaughter. Simple enough a drop cloth from home depot and a heavy duty Singer from Canadian tire. I made her a Cloche, I made my son a cadet cap and now I have made myself one of these brimmed hats. It looks similar to my Tilley but without the brass accents. Thank you for the tutorial it helped a lot. Being new to the craft the internet is very helpful. Nice work! Your hat looks fantastic. This is great its simple to follow im going to try it.Thanks. Am I the only one leaving a comment that actually made the hat? I suspect no one cares that you like the idea or plan on making it someday. I made it, in fact I’ve made 3 so far. It is easy. It is well planned. 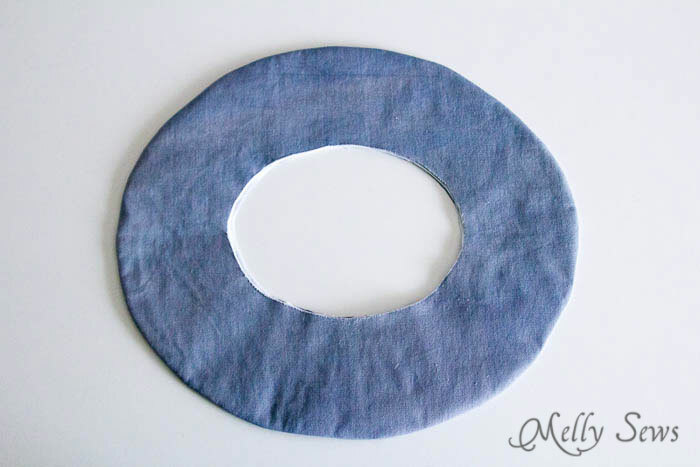 And I am very grateful to Melissa for posting this webpage and pattern. I made a hat using this pattern. I only used 2 layers of stiff interfacing and the brim is quite sturdy at 4 inches, for a garden hat. The instructions for the band were a bit confusing until I realized that only the pattern had to be cut and taped together, not the actual brim. The upside is that I got a hat that actually fits my head. I will definitely keep this pattern.